There are flexible pieces of furniture: desks that transform themselves from sitting to standing, to moveable divides that reshape spaces. Then there are policies such as hot-desking that seek to promote flexible working. But when it comes to the building itself, the water is murky. 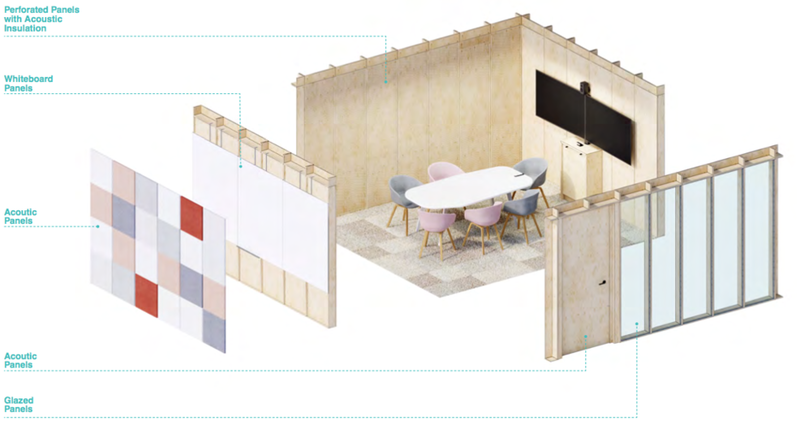 Can a built room truly be a ‘Jack of all trades’; reinventing and constantly changing, chameleon like, to suit the needs of its varied users? Can it increase in size, alter its shape and purpose with ease? 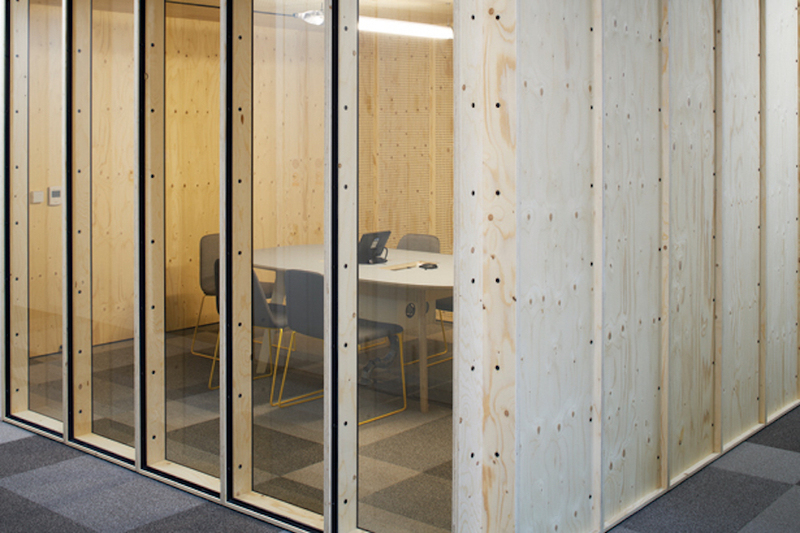 In this post we go behind the scenes of Project Jack; Google’s moveable, modular meeting room, which was designed in collaboration with AHMM, and comes complete with Opendesk furniture for flexible and collaborative working. 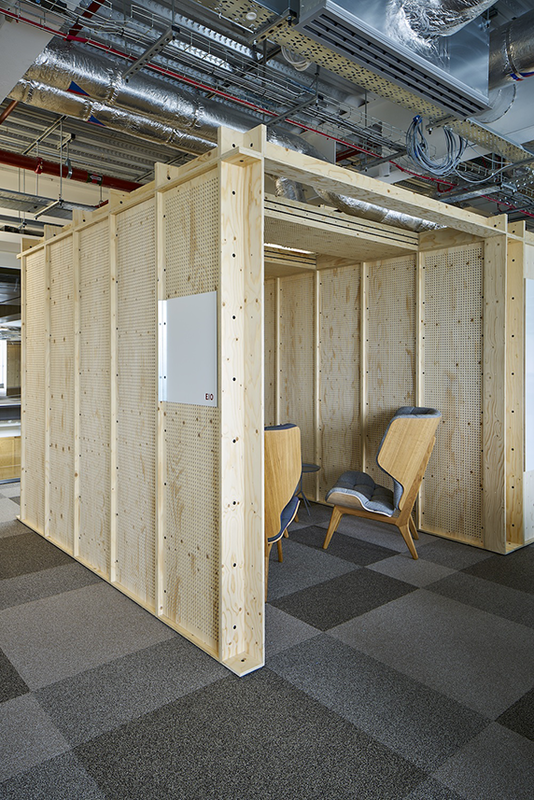 Jack is a bespoke, modular meeting room developed for Google, comprising a range of components that can be assembled, taken part and rearranged easily. 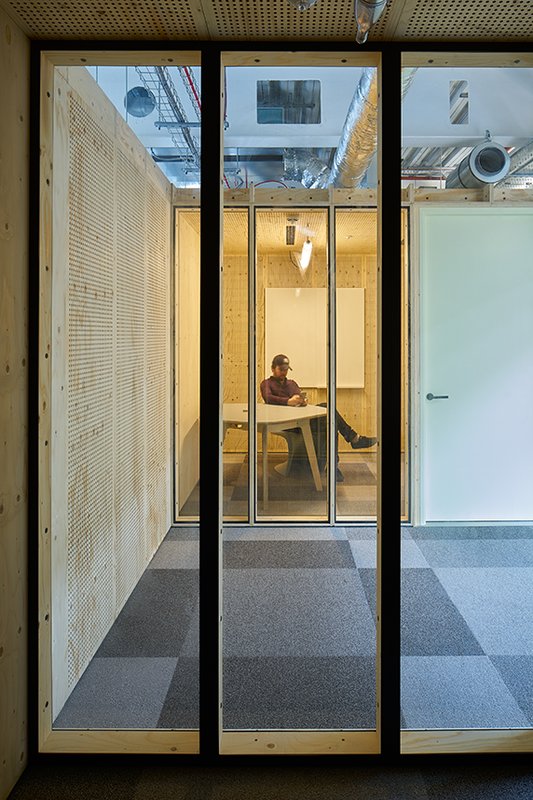 Whether your team needs a private meeting room, a collaborative brainstorming space or hotdesking booths, the Jack Room can accommodate. The best bit? No middleman required. Much like the Opendesk local making model, Googlers can choose and order the base modules they want and they are then created in a local factory and delivered on-demand. It’s a bit like lego bricks: you can create all manner of spatial solutions from parts, components and accessories. Assembly is also incredibly easy and can be done on site without any power tools. It’s plug and play at its finest. 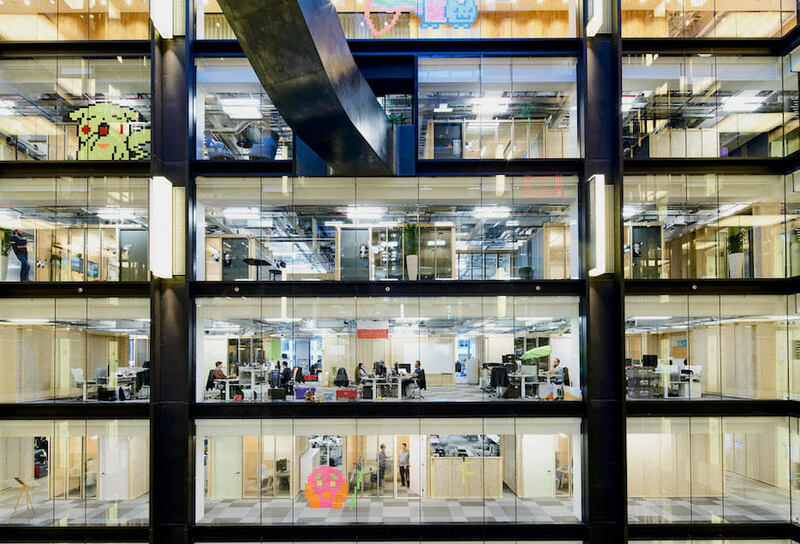 At Google’s Kings Cross campus there are 160 Jack rooms in total. Each seats between two and eight people and are either fully or partially enclosed depending on the needs of the team it’s serving. This collaboration from the Google Real Estate team and AHMM pitches itself as the real-world manifestation of ‘The Room of Requirement’ - a concept all Potter fans are familiar with. For us mere muggles, the concept of an ever-changing room seems at least futuristic, if not magical. But what they’ve built comes close; hardcoding flexibility into the structure itself. Each structure can be put together and taken apart in­-house within hours or days - negating the previous need for the lengthy process of knocking down walls and restructuring to meet the changing needs of teams. Opendesk was approached to design and manufacture a table that in itself was modular, adaptable and part of the project ethos. With our maker network it is possible to find workshops near to each Google campus and get the same designs fabricated locally, on demand when they are required, all over the world. With our engineering and modelling technology we were able to develop a product that suited Google’s needs and celebrated the spirit of a malleable working environment. A table was produced that has the capability to vary in size and shape, without disrupting the manufacturing process and material efficiency, optimising the workshop’s time. The finish chosen for the tops was Forbo Linoleum, which is tactile and elegant, giving the tables a sophisticated dynamic. The frame was engineered to house the custom cabling and tech system spec’d, which was fitted on site to allow for quick and easy installation as the tabletop and frame were designed to instantly detach, making logistics smooth and simple. 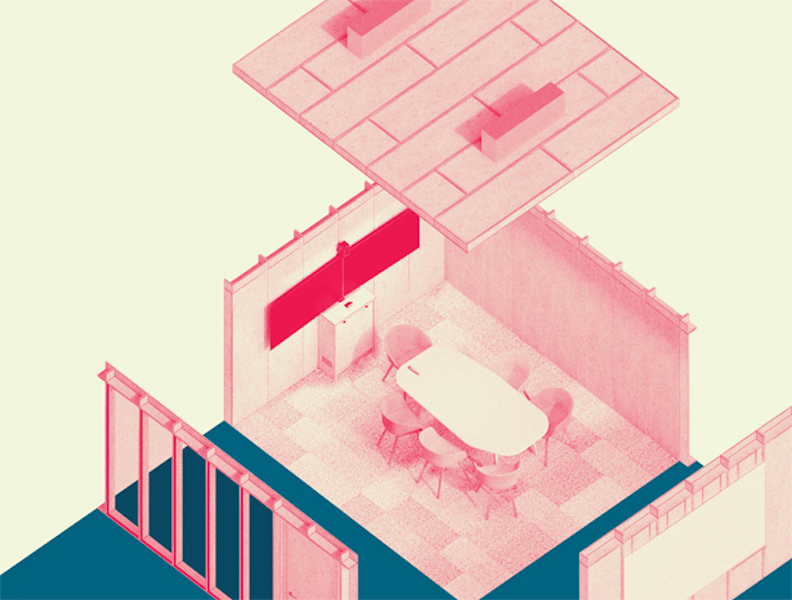 The Meeting Table has been standardised and is available through the Opendesk marketplace! 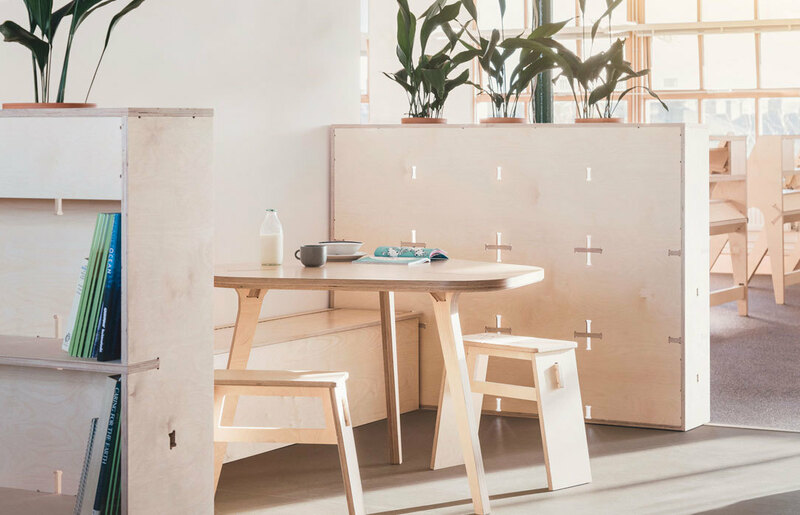 The redesigned version seats up to eight people, is available in birch plywood or white laminate, and has a central cable management system to hide those messy cords. 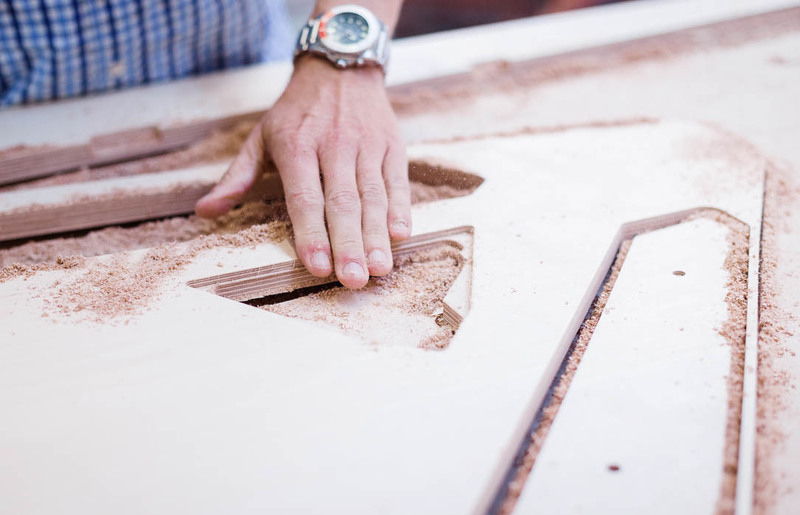 You can request a quote today to have it made locally by a verified Opendesk maker - quickly, sustainably and affordably. 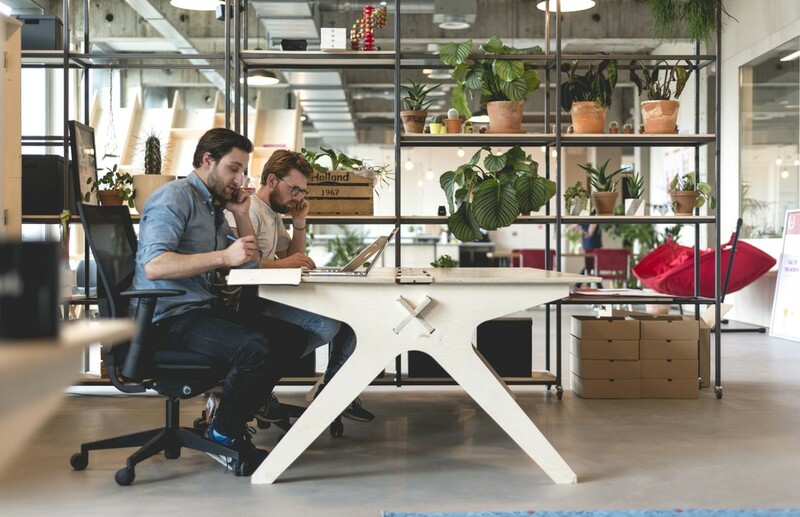 The Growth Tribe Academy is nestled on the Kattenburg island in Amsterdam.